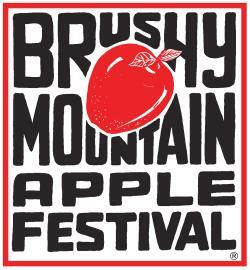 The Brushy Mountain Apple Festival is sponsored and hosted by the Brushy Mountain Ruritan Club. The festival features music, dancing, crafts, artwork, and food that is traditional to the Appalachian Mountains. The streets of downtown North Wilkesboro are filled with over 425 arts and crafts vendors, food concessions, and 4 different music stages consisting of blue grass, gospel, country, and folk. If you are coming from the east, take NC Hwy 115 exit and turn right on 115. This will take you to NC 268, turn left on NC 268 and you will run right into the festival. If you are coming from the west on US 421, take &ldquo;421 Business&rdquo; into the downtown area. This left turn is the next left after the Taco Bell. Business 421 will take you directly into the down town area. On Saturday, October 4, 2014 from 8:00AM to 5:00PM come to North Wilkesboro and enjoy the day at the&nbsp;Brushy Mountain Apple Festival. Come on up the mountain on Hwy 16 or stay on 421N to 221S into Ashe County NC. A1 Mountain Realty is located on the main street here in the center of West Jefferson NC. Come in and view all of the Ashe County NC Real Estate that is for sale here in Ashe County and surrounding counties. The experienced and knowledgeable staff of Ashe County Agents will help you find that perfect piece of Ashe County Real Estate.